When I was little we used to always ice cupcakes with a mix of icing sugar, lemon juice, and some water. I remember seeing pictures of beautifully iced cupcakes, and having no idea how I could replicate it myself. 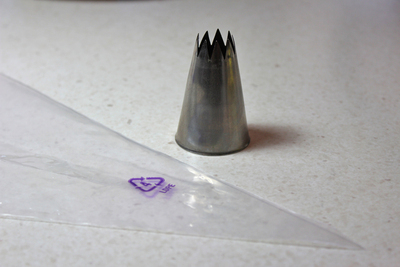 I was a little more than excited the day I got my first icing tip and piping bag. 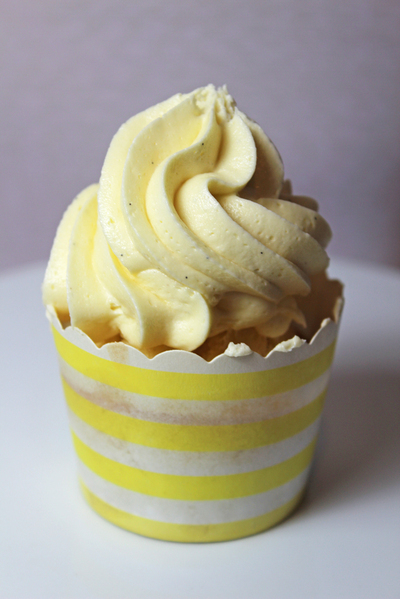 Read on to find out how to make delicious icing swirls on all your cupcakes. Once you've mastered this, try your hand at rainbow icing swirls as well. When you're making icing swirls you need to make sure you've got a good piping tip and a good icing. The lemon-water-icing sugar mix I used to use as a kid won't cut it. Genuine buttercream recipes will work well, or you could try this delicious cream cheese frosting. Insert your piping tip into the piping bag. 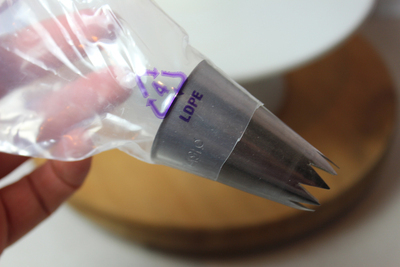 Once it's inside snip off the point of the piping bag so that the tip sits snuggly at the end. 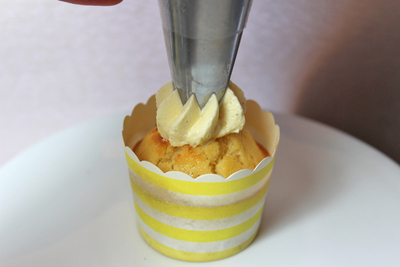 Once your tip is inserted, use a spatula to fill the piping bag with icing. It's a good idea to fold down the top of the bag so that you don't have icing all over it when you twist it up. 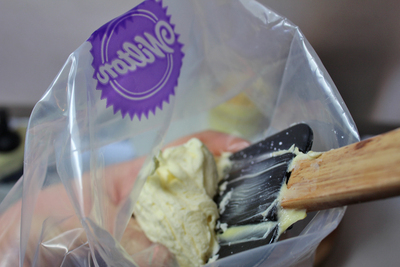 Once the bag is filled, twist the loose end of the bag so that the icing sits tight in the bag. You don't want there to be any air bubbles, otherwise they'll ruin your icing. Now you're ready to start icing. 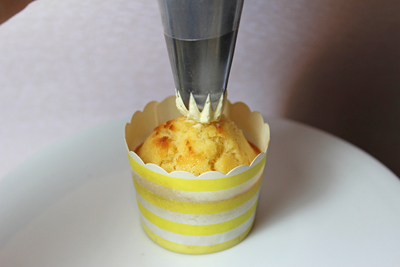 Point the tip downwards, and start in the centre of the cupcake. 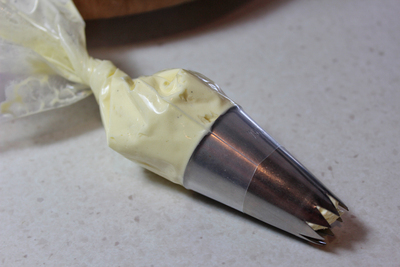 Hold the piping bag with two hands, and squeeze from the top of the bag (near the twist). From the centre, start to ice in a clockwise direction around the cupcake. It's a similar motion to filling a soft serve icing. Continue round the cupcake till you finish back in the centre. This should all be done in one motion. Stop squeezing before you pull the bag away. If you want to practice, start with a trial cupcake and some trial icing. 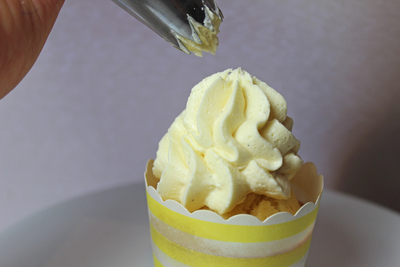 You can practice on the one cupcake, scraping away and reusing the icing as you try, so that you've perfected your technique before you whip up a batch for a party or special event. How did you go? Share your results in the comments.